Get First 3 months of HBO®, STARZ®, SHOWTIME® and Cinemax® at no extra cost* with SELECT through ULTIMATE Packages. After 3 mos., services continue at then prevailing rate (currently $53.99/mo.) unless you call to change or cancel. Req's you to select offer. *$19.95 ACTIVATION, EARLY TERMINATION FEE OF $20/MO. FOR EACH MONTH REMAINING ON AGMT., EQUIPMENT NON-RETURN & ADD’L FEES APPLY. Price incl. SELECT All Included Tv Pkg., monthly service and equip. fees for 1 HD DVR & is after $5/mo. autopay & paperless bill discount for 12 mo. Pay $40/mo. + taxes until discount starts w/in 3 bills New approved residential customers only (equipment lease req'd). Credit card req'd (except MA & PA). Restr's apply. Get a $100 AT&T Visa® Reward Card* when you bundle AT&T Internet and DIRECTV! w/24-mo TV & 12-mo. Internet agmts. Redemption req’d. *Add’l fees & restrs apply. Reward Cards issued by U.S. Bank pursuant to license from Visa U.S.A. Inc. See offer details. Geographic and service restrictions apply to AT&T Internet services. Not all speeds available in all areas. Call to see if you qualify. EARLY TERMINATION FEES ($20/MO. FOR TV; $15/MO. FOR INTERNET) FOR EACH MONTH REMAINING ON AGMT., $19.95 ACTIVATION, EQUIP NON-RETURN & ADD’L FEES APPLY. New approved residential customers only (equipment lease req’d). Credit card req’d. $100 REWARD CARD FOR TV/INTERNET BUNDLE: Subj. to change and may be discontinued at any time. Requires purchase of qualifying TV package (min. $35/mo. for 12 months after Autopay/paperless bill discount that starts w/i 3 bills. Prices higher in 2nd year) and qualifying AT&T Internet service (min. $30/mo.) through card fulfillment. Qualifying Packages: SELECT or above, OPTIMO MAS or above, PREFERRED CHOICE bundle. Select locations. For new residential customers. Residents of select multi-dwelling units are not eligible for this offer. Reward Card: Will be sent email or letter with redemption requirements. Redemption req’d. w/in 75 days from reward notification email or mail date. Reward Card delivered within 3-4 weeks after redemption to customers who maintain qualifying service from installation date and through reward fulfillment. Card expires at month-end 6 mos after issuance. No cash access. For cardholder agreement, go to rewardcenter.att.com. 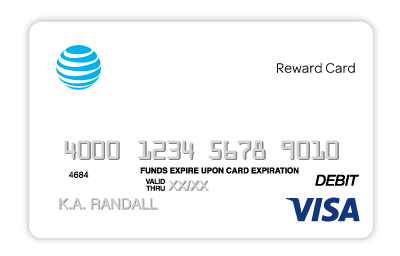 AT&T Reward Card issued by U.S. Bank National Association, pursuant to license from Visa U.S.A. Inc. May not be combined with other promotional offers on same services and may be modified or discontinued at any time without notice. DIRECTV SVC TERMS: Subject to Equipment Lease & Customer Agreements. Must maintain a min. base TV pkg of $29.99/mo. Programming, pricing, terms and conditions subject to change at any time. Visit http://directv.com/legal or call for details. DIRECTV in Saint Joseph revolutionizes the home entertainment experience, with exclusive packages, deals, and free upgrades that are sure to make you smile. DIRECTV packages feature almost 200 channels with beautiful, 24-hour HD programming. Plus, you can take advantage of the most comprehensive sports line-ups in Saint Joseph. To top it all off, you can record up to five shows simultaneously and watch them from any room in your house with the Genie® HD DVR that comes standard with every subscription. So get DIRECTV today and enjoy the ultimate in home entertainment. 1Number of HD channels varies based on package selection. To access HD programming, HD TV is required. 2Requires one TV connected to a wired Genie HD DVR and a Wireless Genie Mini for each additional TV. 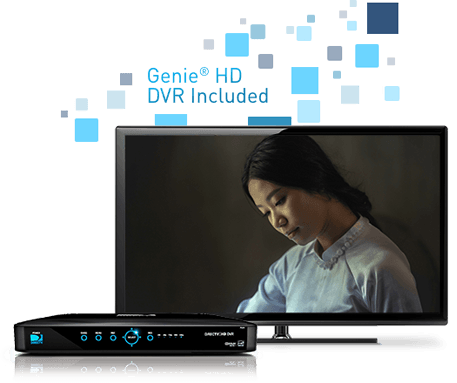 Limit three remote viewings per Genie HD DVR at a time. Do you like sports? If so, you’re going to get the most out of DIRECTV in Saint Joseph. DIRECTV brings you many options when it comes to packages in Saint Joseph, whether you want to catch your favorite franchise’s games or prefer regional sporting events. MLB EXTRA INNINGS℠ is perfect for baseball fans in Saint Joseph, while NBA League Pass keeps basketball fans on the edge of their seats. And get a leg up on your fantasy football competitors when you get hooked up with NFL SUNDAY TICKET. DIRECTV packages also include features like Player Tracker and Highlights on Demand, giving you an in-depth look at your favorite teams. And with DIRECTV Sports, you won’t miss any of your local Saint Joseph teams’ games. For full mix channel and interactive functionality, HD equipment model H/HR 21 or later is required. Like watching your local channels? You don't have to choose between popular nationwide channels and your favorite Saint Joseph programs when you get DIRECTV. DIRECTV Saint Joseph Channels have everything your family could want to watch, from local sports and news coverage, to family shows and movies. For more information, click here to check out the DIRECTV Channels page and see which of your local channels are available. You can view the entire list of channels available to you, check out different plans, and see just what DIRECTV is offering in your area. Feeling held back when it comes to your home entertainment? If so, you’ve got to check out DIRECTV. 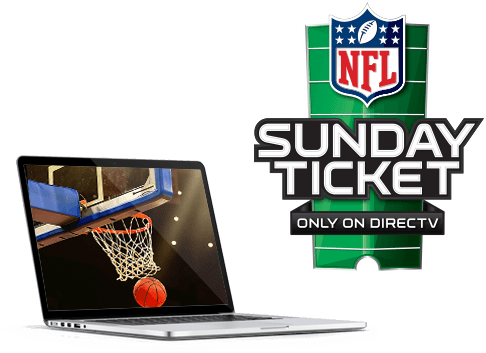 DIRECTV in Saint Joseph has the top nationwide networks and shows, but it also features exclusive sports packages, such as the always in-demand NFL SUNDAY TICKET. Plus, DIRECTV satellite service doesn’t transmit your signal using physical cables, meaning that even customers without a hardwired cable connection can enjoy dependable home TV service. Call today to order DIRECTV and enjoy limitless, top-notch programming.